EU countries - add tax. 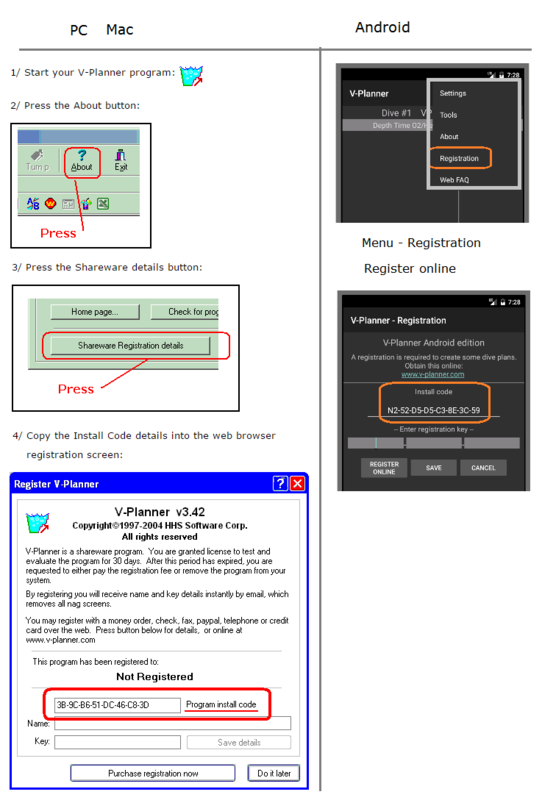 V-Planner desktop version is a shareware program. You are granted license to view and evaluate the program free of charge for 30 days. After this period, you are requested to either register the program and pay the registration fee, or to cease using the program and remove it from your computer. After the evaluation period has expired, the program will continue to function normally, but it will begin to nag you. The Android version requires a registration to create technical level dive plans. 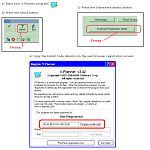 Enter the Program install code from the new V-Planner program (PC/Mac: select menu About, then shareware registration details, Android: select menu Registration). Note: All orders receive the registration details in an email upon purchase. Credit card, Paypal receive details instantly. Phone, check and mail type orders upon approval. Residents of EU countries will incur a VAT charge, and registered companies are exempt. Registration groups: The same registration details may be used to unlock other install belonging to one diver within the same registration group. i.e. Desktop / laptop / Mac / PC: 4 keys per registration per year. For Pocket PC/Mobile and Android: 2 keys per year. All future program updates are free. The registration is divided into groups, and each group requires its own registration and fee. All programs include free updates for life. Resend keys for lost keys and passwords of registered users.